Likely all four sets are produced by the same artist. 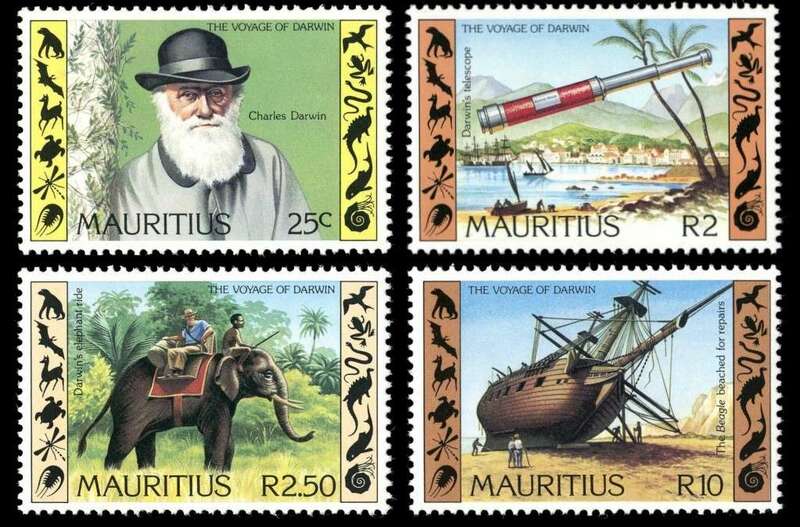 Do you see something strange on stamps of Mauritius ? 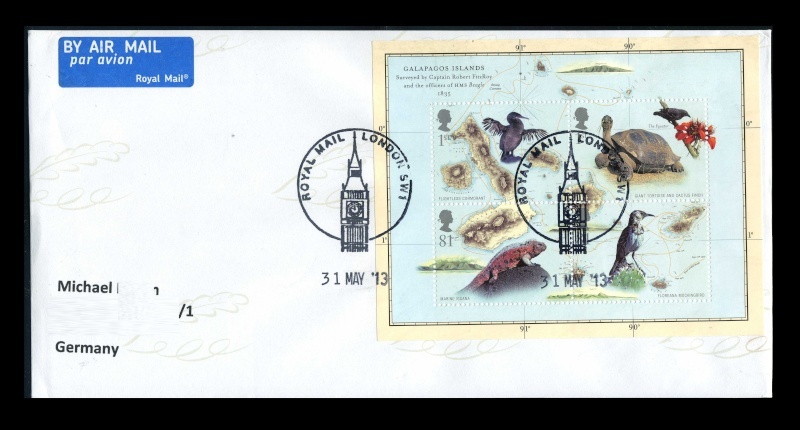 The Mauritius stamps don't have the QEII effigy, but then they have been a republic since the late 60's, even though still part of the Commonwealth, I think. 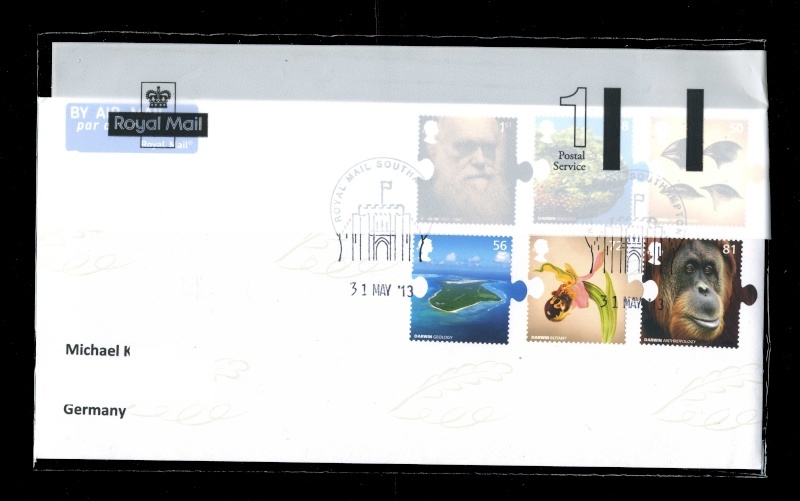 www.norvic-philatelics.co.uk/2009/02a-charles_darwin_200.htm I still have some of that issue for use (I am primarily a stamp user)... I really should treat myself to a new scanner (last one died in spring or earlier, I can't remember). Both sent inside of water protected bag, e.g. These stamps. 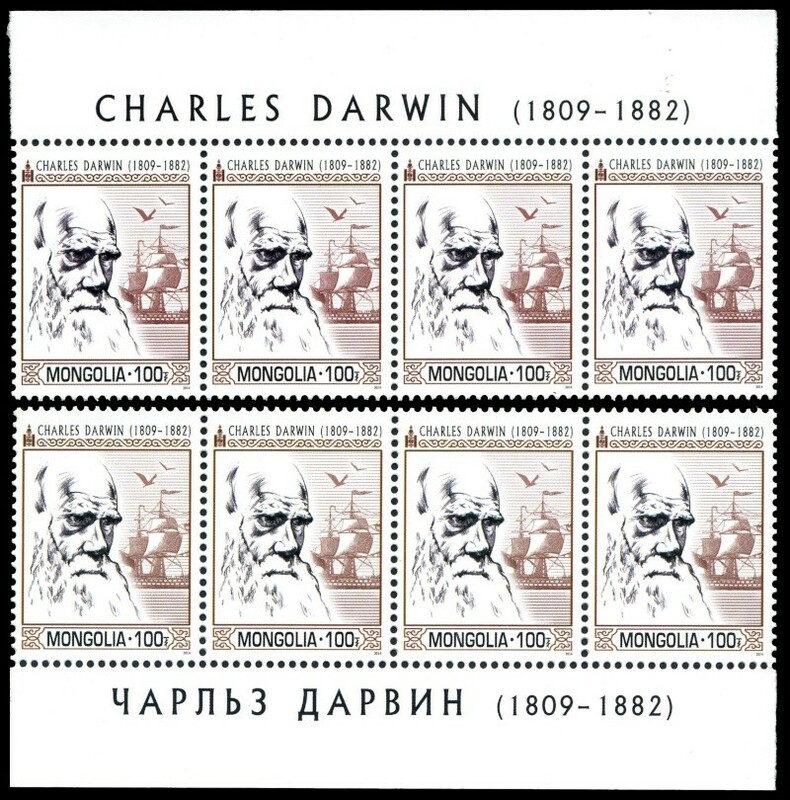 as well as many others issued in 2009 in order to commemorate both the 200th Anniversary or bicentenary of the birth of the greatest naturalist in history, Charles Robert Darwin, and the 150th Anniversary of the publication of his most famous work On the Origin of Species by Means of Natural Selection. beautiful! Thank you for posting them! 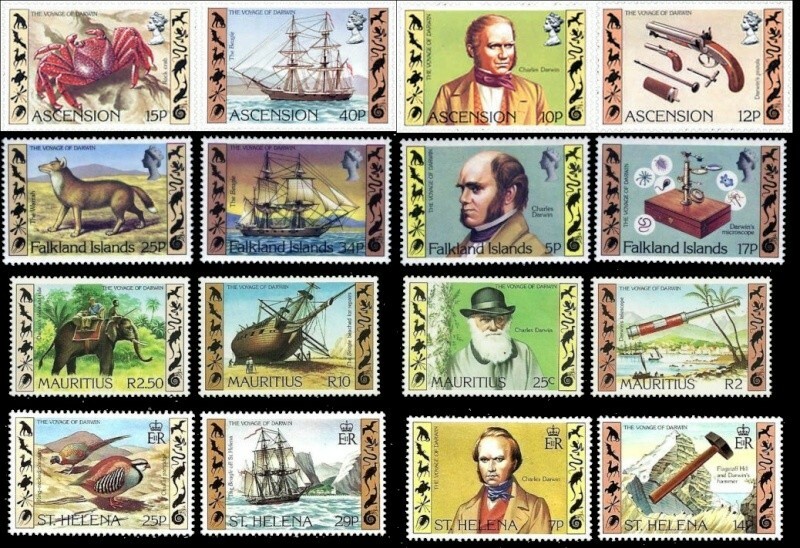 All four sets above are commemorate Darwin's visit on these islands and shows various occasions of Darwin's journey on HMS Beagle. 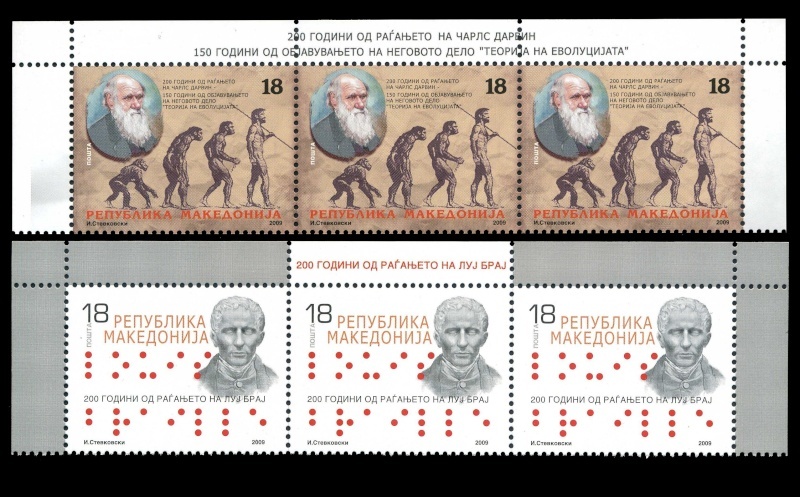 The unusual on the stamp of R2.50 is the face of Darwin. If you look closer, you can see the white man seating on the elephant - I suppose he is C. Darwin. 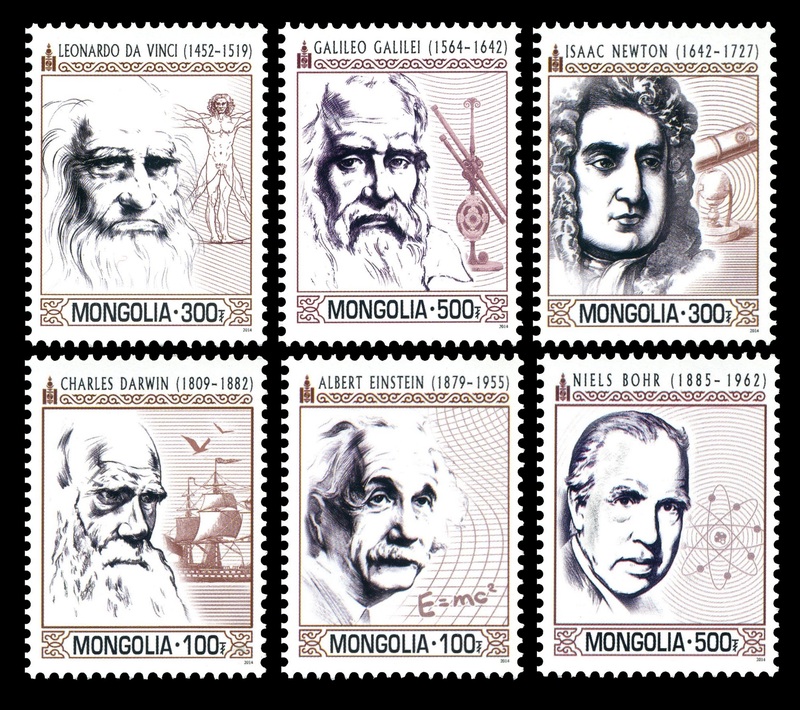 However at the time when he made his journey he didn't had any beard and mustache - looks much younger, as depicted on stamps from another 3 sets. Moreover, look on the form of the beard and moustache there. 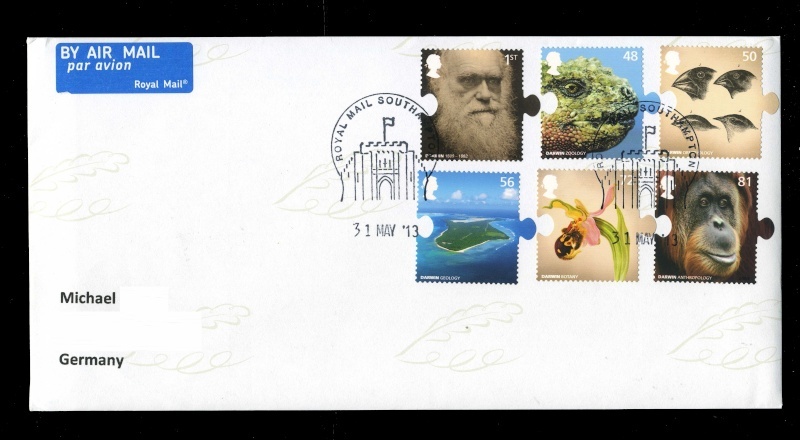 It different from well known face of Darwin, depicted on 25c stamp. 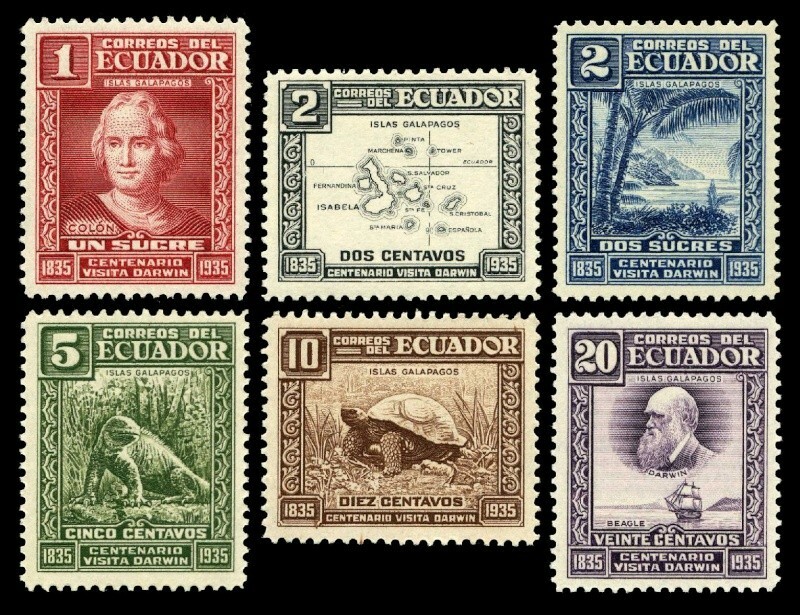 I think Darwin went many other places in the world besides the Galapagos, and I think he made several trips there. paleophilately as a major interest! 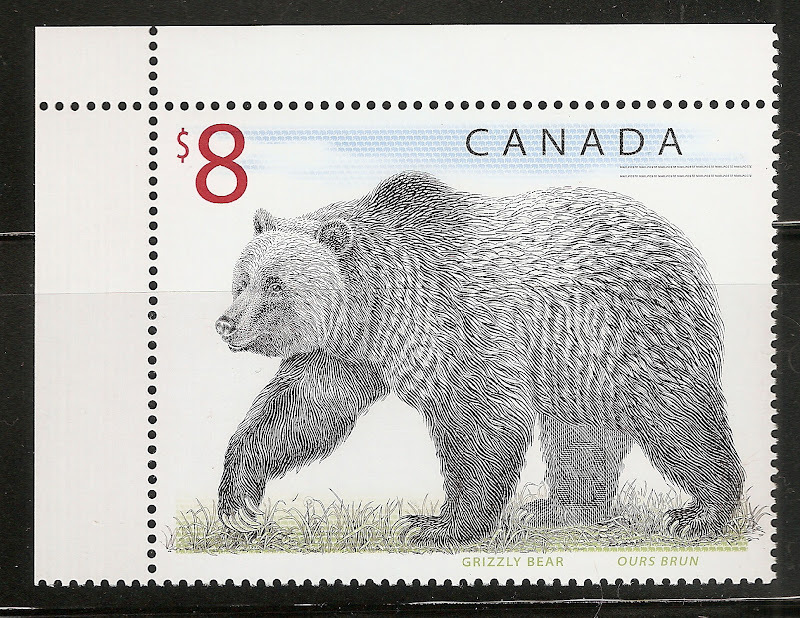 And yes, I believe his beard looks much fuller and fluffier - with sideburns - in the first of the four stamps. Thank you for the enlargement! 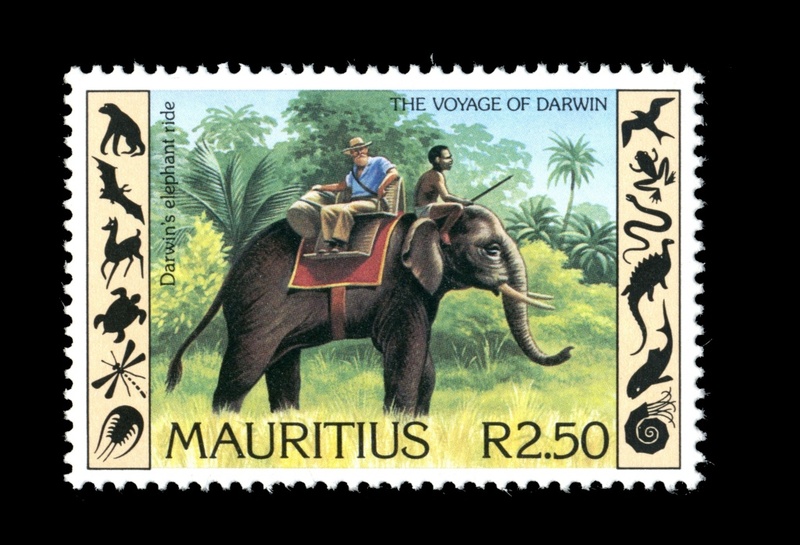 Darwin has indeed a trip on an elephant by his stay on Mauritius island. The elephant was provided him by governor of the islands who got the elephants as present from some Indian Maharaja. Louis Braille, who born on the same year as Darwin (1809), and who was the inventor of a system used by the blind people for reading and writing, on the second. I wonder if there is any "Wedgwood" pottery commemorating Darwin! Or how about a cover with Josiah Wedgwood and Darwin together....? Related! He looks to gloomy, isn't it ?